The Hooka recently demonstrated her incredible versatility by taking on the challenge of both transporting and installing a 6 metre long (600kg) I-Beam. 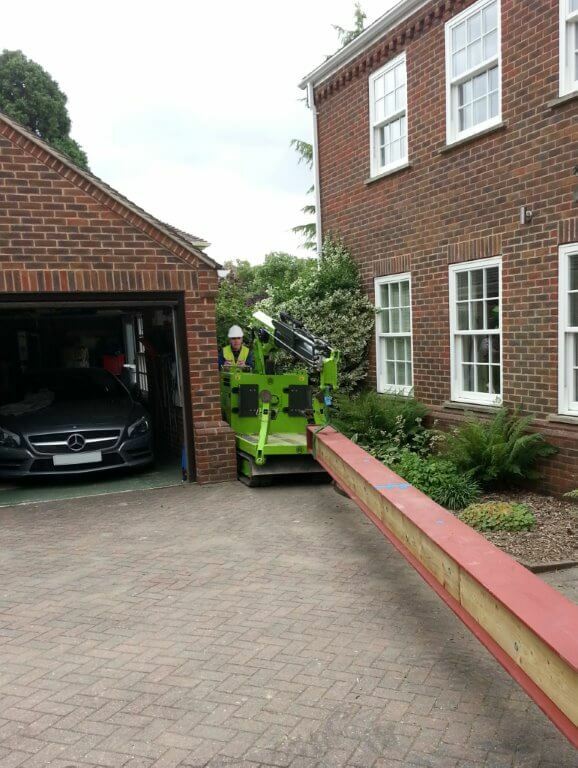 The job specification was to transport the I-Beam through a 1.1 metre wide access point and then around a tight corner to reach the rear of the property. 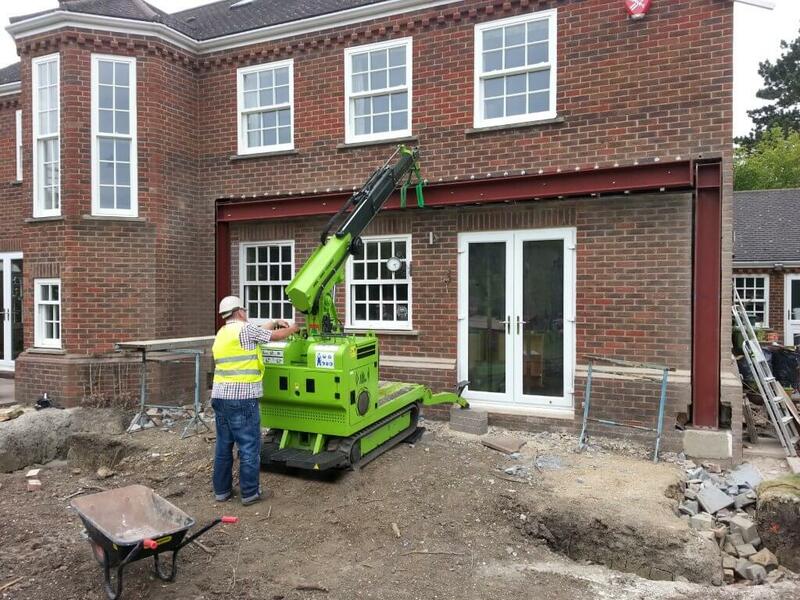 The beam was then to be installed directly into an existing wall structure to support a lean-to extension. Once on site, Hooka made light work of lifting up one end of the beam – with the other end being supported on a four wheeled dolly. 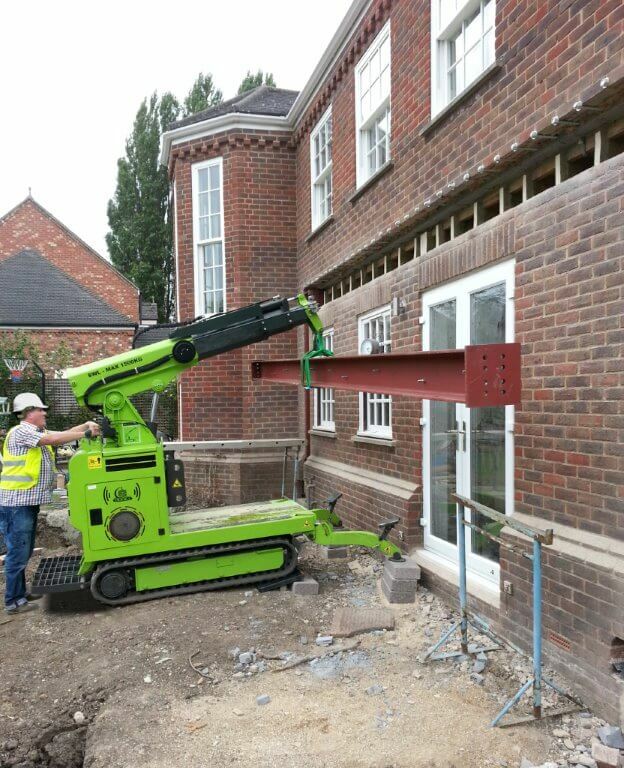 The machine towed the beam around to the back of the property and, with its ‘turn on the spot’ track base and extending boom, was easily able to navigate the beam around a tight corner between the job site and neighbouring property. Once there, the Hooka was repositioned in the middle of the beam and then effortlessly lifted and transported it to the installation point – where it was then simply raised up and into place. With the whole job completed in under 2 hours by one man and one machine the Hooka, yet again, proved her worth! Delivers bulk materials, plant and equipment from the roadside into the heart of any site! Hugely reduces labour costs – no more barrowing of aggregates, bricks and blocks or winching and dollying of heavy plant. Integrated load system allows a 1.7 tonne machine to safely carry a 1.5 tonne payload. 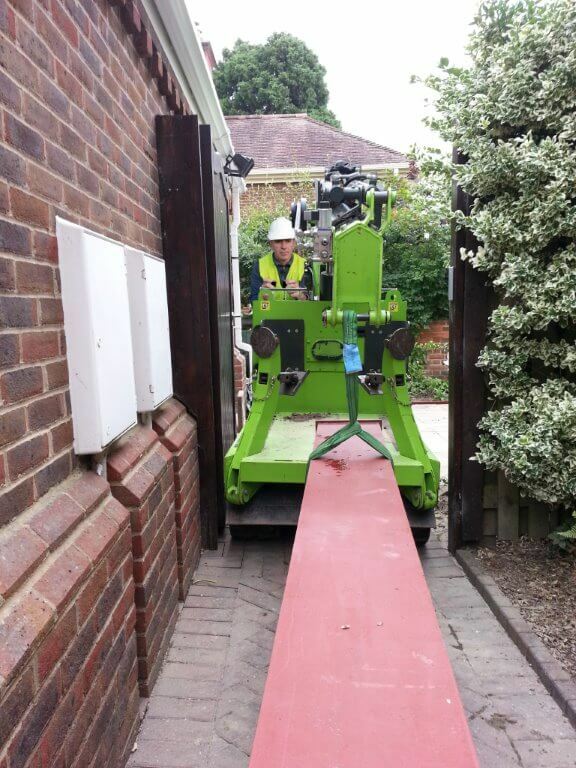 The perfect machine for restricted access sites – HOOKA is only 1 metre wide – the same as the loads it carries! Unique ‘load lock’ system secures the load to the machine – ensuring total stability. Tracked base ensures excellent stability and minimum ground damage. Complete the form below to request a booking to hire the Hooka.